Please read carefully the terms and conditions of registration and participation. Your registration will only be accepted once you have paid the full fee for the conference. Please note that accompanying persons do not have access to the scientific programs. a./ Bank Transfer to Evacon Ltd. Please, instruct your bank to carry out the transactions "Free of charge for the recipient". Any bank fees incurred will be charged to the respective participant.While making the bank transfer, please, remember to indicate your name. On-line payment is possible with VISA/MASTER CARD through the secured website of K&H Bank Zrt. In case of AMEX the payment will be through the secured website of OTP Bank. K&H Bank provides the possibility of secure card acceptance for the online registration system of Plastic Pipes Conference.The card processing system uses SSL protocol. In case of credit card payment (except in case of using AMEX cards) we redirect you to the payment surface of K&H Bank, where the payment is directly carried out, because the payment surface is not on the registration sites of Plastic Pipes Conference.The site of K&H Bank works according to the rules and safety standards of the international card companies. Evacon Ltd. does not have access to your card number expiry date, or any other data related to your account in any form.The security of the parties in the bankcard transactions is guaranteed by the Internet Code Security service, i.e. Verified by Visa and MasterCard Secure Code, introduced by the international card companies and also applied by K&H Bank. With that solution, the cardholder must also enter a password or ID code on the Bank’s payment interface (two factor authentication) if the issuing bank made it available, and therefore fraud is practically excluded. The card number is embossed or printed on the front with 13 to 19 digits. The card is embossed or printed on the front with mm/yy format number. The last three digits of sequence in the signature panel, on the back of the card: CVV2 or CVC2. Payment by bank card and registering for the PPXX is comfortable and secure through payment by bank card. After ordering the selected service we direct you to the K&H Bank's website where you can pay with your bank card through an encrypted transaction that is currently considered the safest. The customer only has to click on the “payment by bank card” button when choosing the payment method, and then they have to type in the card number and the expiration date of their bank card on the K&H Bank payment server. K&H Bank accepts VISA, VISA Electron, V-Pay, MasterCard, Maestro and JCB type bank cards. Bank cards authorized only for electronic transactions are only accepted if the usage of the card is authorized for this purpose by the issuing bank for that card. Please inquire at your bank whether your card can be used for internet shopping.K&H Bank will issue an authorization number for the transaction. The customer should write the number down, or print out the whole page. In case of an unsuccessful transaction, K&H Bank will send an error message and the cause of the error. Security of personal data, data protection Protection of your personal data is a priority for Evacon Ltd. and its partners. Collecting and processing of personal data necessary for identification during the usage of our website complies with the data protection standards in force in Hungary (Law CXII. 2011). Your data will be handled confidentially; your data will not be given out to any third parties, unless it is necessary for the fulfillment of the contract (e.g. : billing, shipping, courier service). Acknowledgement of registration will be sent after receiving your payment. 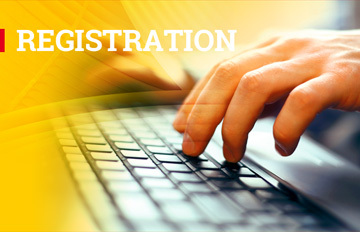 In case you sent your registration by E-mail you should receive a confirmation within 7 days. If you do not please call us. Please, do not forget to write your European Union VAT number if you have because it is necessary for issuing the invoice. In the shortage of VAT number 27% VAT should be added to the net final amount. Please, instruct your bank to carry out the transactions "Free of charge for the recipient". Any bank fees incurred will be charged to the respective participant. While making the bank transfer, please, remember to indicate your company name. No refund after 1st July 2020 - but delegate substitution is permitted. Please note that you should not leave valuables - also light, portable exhibits -unattended during the day. The Organizer does not accept any liability for theft or missing equipment. It is at the participant’s own risk to leave goods unattended on the conference area.Evacon Ltd.’s liability for personal injury or damage to property shall be limited in every case to intent and gross negligence Evacon Ltd. shall not be liable in the event of the cancellation, relocation or rescheduling as a consequences of force majeure in particular in the event of catastrophes, environmental damage, war, terror, third-party crimes, employment disputes, energy shortages etc.